Boldon Golf Club in County Durham is leading the way to grow the women’s game by becoming the first club in England to sign up to The R&A’s Women in Golf Charter. 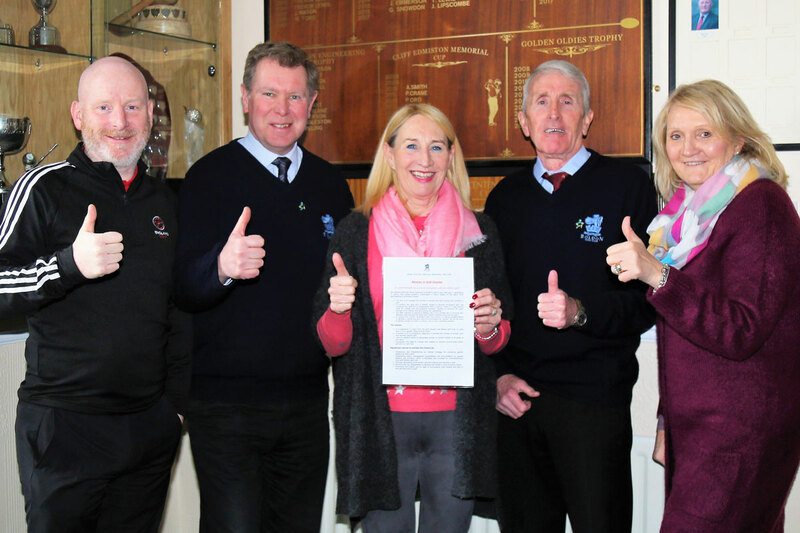 The club has made a series of pledges which include running events to encourage more women and girls to play golf, to have at least three female board members and to create even better community links. It has also appointed women’s member Alyson Chapman as its Charter champion to support and help new players and members. Alyson, who has previously won a Durham award for her efforts to get women involved in golf, commented: “I’ve had a huge amount of pleasure out of golf and I enjoy sharing that with other women and girls. The Women in Golf Charter was launched last year to increase the number of women and girls playing golf and to encourage more opportunities for women to work. England Golf was one of the first signatories and, it’s just been announced, a total of 106 organisations have committed to it. Now, the drive to get more clubs to sign up is set to gather pace, and in England, Fulford Golf Club has already committed to join Boldon. Lauren Spray, England Golf Women and Girls’ Manager, commented: “Boldon have been wonderful to work with. They have set realistic targets and it is fantastic to see them looking at everything from leadership positions to recruiting new women into their club. Currently Boldon has 42 women and 6 girl members, including seven who are following the club’s pathway to full membership. The target is to increase this by five during 2019. It’s already got a great track record with its Get into Golf sessions for women, which are supported by Alyson. It has also run family days which attracted boys and girls to the junior Wee Wonders programme. Boldon also gets involved with community activities such as a local scarecrow event where it successfully promoted golf to women. These activities are all back in the 2019 calendar. Any English club which wants to adopt the Charter can find out more here and should follow-up with their Club Support Officer. Caption: (from left) Mike Greener, England Golf Club Support Officer for County Durham; Steve Watkin, club Manager; Alyson Chapman, Charter champion; Alan Pearson, club Captain; and Chris Pascall from the Durham Ladies’ Association.